The GAA Director of Communications Alan Milton has denied that the decision to originally fix Kildare vs Mayo for Croke Park was financially driven or dictated by TV schedules. 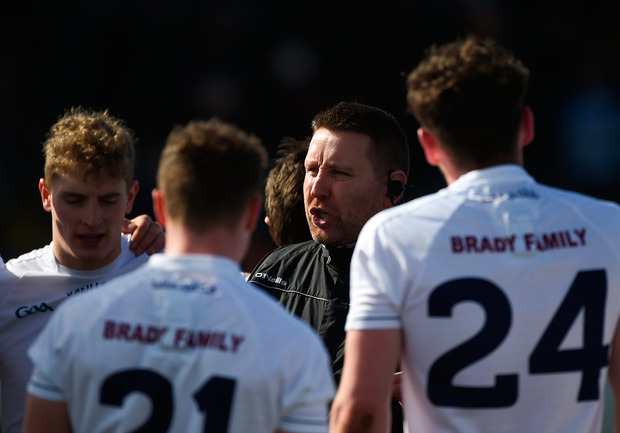 There was an outcry from Kildare on Monday when their qualifier clash with Stephen Rochford's men was announced as part of a double header at Croke Park, since the Lilywhites had been given home advantage in the third round draw. After an intense backlash, the GAA have now fixed the game for St Conleth's Park, Newbridge. Speaking to Marty Morrissey on RTÉ News today, Milton said that health and safety concerns were behind the venue decision and denied that the motives were financial. "Some of the most experienced and distinguished administrators in the GAA, including our provincial secretaries, serve on the CCCC. "They've organised hundreds of games down through the years. They have vast experience and the only driver here was health and safety of our patrons that attend games. "I'm not sure if people place enough store on health and safety until something goes wrong. It was the only motivation behind the fixing of the game for Croke Park." "There have been conversations had in recent days that weren't possible to have before the game was originally fixed," he added. "I think it would be remiss and negligent of the GAA to fix a game at a venue that they weren't entirely satisfied with. "The extra time allowed for different plans to be put in place, whether it be for traffic or for general management for the flow of people. "That has put people's minds at ease. We're confident the ground will have a plan that will allow for people to enter and leave the ground safely."